Drew Wheaton is the tenor of the 2016 International Barbershop Quartet champions, Forefront, and has been the Musical Director of the Thoroughbred Chorus since 2012. 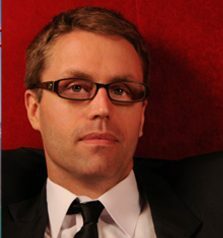 He holds music degrees from McGill University and the University of Louisville and a Masters of Music in Choral Conducting at U of L.
Drew is a co-founder of U of L’s Cardinal Rule, an a cappella group that has performed at various workshops and festivals in Kentucky and Ohio in the last 3 years. He is now the director of 1856, a Junior Varsity a cappella group at Male Traditional High School in Louisville. Drew teaches private voice lessons in his office studio in his home. This is also where he records learning tracks for various barbershop and a cappella ensembles. Drew has also been active as a coach and clinician, coaching various quartets and choruses, directing youth barbershop camps, and teaching at various contemporary a cappella workshops and camps (Kettering National A Cappella Festival, Camp A Cappella, etc.). He is the National Championships Director for the A Cappella Education association. He also is a live sound engineer for various contemporary a cappella concerts throughout Louisville. Drew lives in Louisville with his beautiful wife, Kristina, who is also an award-winning barbershop singer (2013 International Harmony Incorporated Quartet Champion). They met at a barbershop convention and continue to share their music with each other. Drew has a growing library of songs already recorded for sale! Please take a look at the Learning Tracks page and see what tracks have already been recorded. For instructions on the process of ordering custom recordings, please go to the Instructions page. Please take the time to listen to the samples and read the testimonials as they are added to the site, and enjoy my website. Thank you! Learn song quickly with these quality recordings. Intuitive and enjoyable to listen to! Drew works with your ensemble to help them reach a higher level of musicality and art, and to reach your performance goals to better move your audiences! Create an auditory experience for your audiences like no other with Drew behind the mixing board. Drew is a beast, one of the rare people who completely understands both barbershop and contemporary a cappella idioms, making him a kind of a cappella rosetta stone that is invaluable as a 21st century vocal harmony director. It was a pleasure having Drew record our learning tracks. He was timely, accurate, and the cost was extremely reasonable. Masterpiece gives him two thumbs up! The Alexandria Harmonizers have had the pleasure of using Drew’s talent and services over the past year to create numerous learning tracks for both contest and show repertoire. The tracks are highly accurate and praised by our guys for their clarity and usefulness. Drew always gives us a reasonable time-frame for delivery, is accommodating and easy to work with on interpretive aspects of the pieces, and his prices are fair and reasonable for the high-quality product that he provides. Drew’s tracks have been outstanding and definitely made it easier for our chorus to learn words and notes much more quickly. Drew provides very accurate and musical rendition of every song that he sings. Drew is also very responsive and produced our tracks before our agreed-upon deadline. I highly recommend using Drew for all of your learning track needs!